Praktikum/Jobs | Flüchtlingsrat Mecklenburg-Vorpommern e.V. research about specific countries and the living conditions there. Maybe your country of origin or one you are interested in. Then make a campaign or media work with the information. 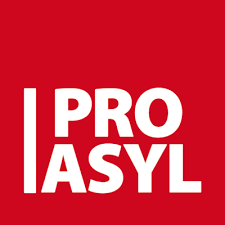 support us in our various projects, for example in advising refugees about the procedure. support us with IT-stuff, i.e. the homepage oder graphics. Wir bieten Praktikumsstellen an. Bedingung: Ihr habt mehrere Wochen Zeit. Mögliche Ideen, u.a. Unterstützung in IT-Fragen, z.B. Homepage oder auch mal Flyer gestalten, Datenbankfragen usw. Wenn ihr andere Ideen habt, schreibt uns an kontakt[at]fluechtlingsrat-mv.de.